This is a die-cut Capitol Pale Lager Beer porcelain sign. 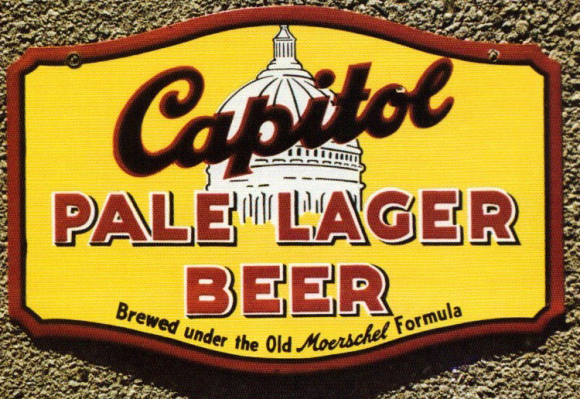 This particular Capitol Pale Lager Beer sign is predominantly yellow with black and red text. It reads, “Capitol Pale Lager Beer, Brewed under the Old Moerschel Formula” and features the Capitol building dome in the center.